As humans, we all come with preconditioned traits, emotions and thought processes that ultimately condition the way we approach situations and how we react to them. Sometimes, such factors lead individuals to making the wrong decisions that result in them getting into trouble under the law. Despite the adversity of such situations, as humans, we are all entitled to a number of rights under the police procedural system that we can never be robbed of. Thus, it is vital to ensure that you are aware of such rights and any experiences that may occasion a breach of these rights. In order to execute a lawful arrest, a police officer must be in possession of a legal warrant. 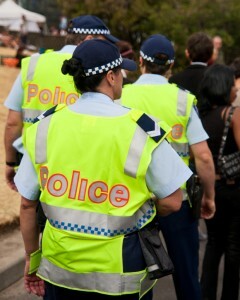 However, under sub-section 99 (1)(a) of the Law Enforcement (Powers and Responsibilities) Act 2002 (NSW) (LEPRA), a police officer is given the right to arrest an individual without a warrant, provided that he or she has reasonable grounds to suspect that the person is committing or has committed an offence. The requirement of ‘reasonable suspicion’ cannot be founded upon a baseless assumption. It is important to know that in order to constitute valid reasonable suspicion that would effect a lawful arrest without a warrant, the police officer’s suspicion must extend beyond something more that is less than a belief, but ultimately more than a possibility of the prospective accused having committed a crime or being in the process of committing one (R v Rondo (2001)). Do you know your Police Procedural Rights? ETB Legal can help if you have been arrested! Furthermore, an arrest cannot be conducted solely for investigative purposes, despite the police forming reasonable suspicion (R v Dungay (2001)). Therefore, if you have been arrested purely for the purposes of furthering a police investigation, for example, being arrested solely for questioning, this also constitutes an unlawful arrest. Pursuant to section 21 (1)(c) of LEPRA, a search by police can only be done without a warrant if they suspect, on reasonable grounds, that they believe a person has a dangerous article in their possession that is being used, or was used in the commission of an offence. Thus, there either needs to be a factual basis to warrant the search or reasonable grounds upon which a police officer’s suspicion of an individual is founded. Additionally, section 138(1) of the Evidence Act (NSW), dictates that any evidence obtained improperly or in contravention of an Australian Law is not to be admitted. Thus, if a police officer obtains something incriminating on your person while conducting an unlawful search, that piece of evidence cannot be lawfully admitted and used against you. However, this is conditional upon the fact that the undesirability of such evidence being admitted in this manner outweighs the gravity of the evidence itself. Section 122 (1)(a) of LEPRA reads that whosoever undertakes the role of a custody manager of the detainee should caution them that they are not obligated to say or do anything but anything that is said and done can be admitted into evidence. This essential codifies our right to silence in the face of police questioning and dictates that we are not obligated to respond to any questions directed at us without the presence of a legal representative appointed to us. Moreover, section 123 of LEPRA affords individuals the right to communicate with either a family member, friend, guardian or independent person and an Australian legal practitioner. If police officers deny you of this right, or fail to mention its very existence in the first place, the subsequent questioning will be deemed unlawful. In summation, these rights are fundamental and individuals must understand the gravity this could have in their matter if these rights are breached or taken away from us. If you feel that you have been subject to any such procedural breach pertaining to your arrest, search and/or questioning and require assistance in such matters, please contact ETB Legal at 0412 915 247 or (02) 9188 9669. Bail dictates whether a person will regain their liberty after an arrest or... What Happens when you are Caught with a Knife?